Marie is a registered dental hygienist, and has been working alongside Dr. Linhart for over 20 years! For two decades, Marie has been responsible for helping our patients obtain, and maintain great oral hygiene. Dental visits with Marie are always enjoyable. Marie is also certified in anesthesia, diagnosis, and is always happy to answer any questions about your dental visit. Patricia is an amazing hygienist, and great part of Linhart Dentistry. 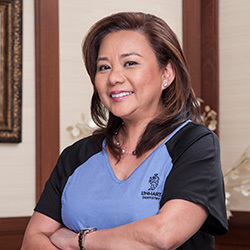 With extensive knowledge, and 15 years of experience, she helps our patients get to, and maintain great periodontal health. She too is certified in anesthesia, diagnosis and a huge asset to our office. Patricia is also fluent in Portuguese. 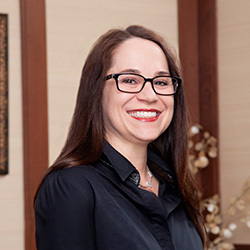 Galina has over 20 years of experience as a dental hygienist. 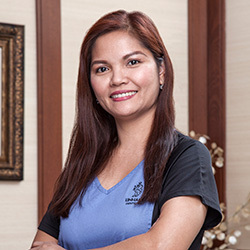 She is extremely gentle and thorough and has a great following of patients who appreciate her care. Galina is also fluent in Russian! Since the year 2000, Melanie has been the welcoming face of our state-of-the-art office. Her big smile, warm demeanor, and enthusiastic attitude makes Mel a pleasure to see at the front desk as you enter our office. 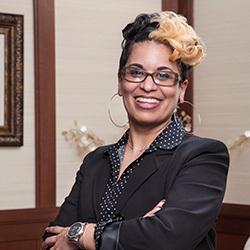 Mel is always happy to answer any of your questions about our practice, your appointment, cosmetic dentistry, or any aspect of your oral care. Ana is your personal “in office” concierge! 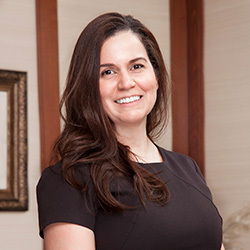 With almost a decade at Linhart Dentistry, she welcomes and schedules patients, as well as familiarizing new patients with our practice. 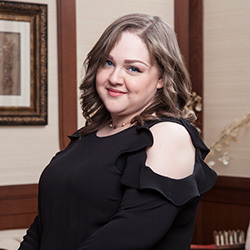 With a huge smile and an infinitely happy personality, it is Ana’s responsibility to make each and every patient who enters our office comfortable. From making you a cappuccino or espresso, to giving you a warming blanket during your procedure, Ana is here for your comfort and convenience. Ana is also fluent in Spanish. Sherry is our office manager who has been with our office for years. She is an essential part of the Linhart Dental team. 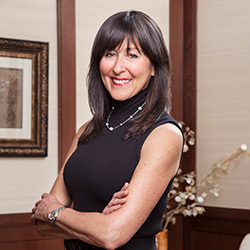 Sherry creates the new patient experience from welcoming you to our practice, to preparing and discussing patients’ treatment plans including implants, veneers, complex treatment cases and Invisalign™. Sherry is very creative in finding a way to make your desired or needed dental care obtainable. She makes sure the day-to-day routine of our office runs smoothly and efficiently. She makes sure every patient’s expectations are fulfilled, and all questions answered. Dina is a great resource for scheduling and insurance considerations. Overseeing the multiple specialists in our practice, she coordinates care between our doctors, our patients and insurance companies. Linhart Dentistry and our patients rely on Dina for her skill and knowledge. Dina is fluent in Russian. 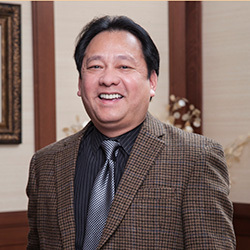 Gilbert is our insurance and billing expert. He assists our patients with their insurance and billing questions. Whether you have a question about filing your insurance, the difference between co-pay and deducible, Gilbert has all the answers. Gilbert makes sure that your dental insurance, whether Delta, Aetna, MetLife, United Healthcare, Cigna or any other, is maximized to its fullest. Gilbert is fluent in Tagalog. Lindsay, the newest addition to our practice, is our Jill of all trades! She is a social media expert and heads up our Instagram and Facebook accounts. We have her to thank for all of our exciting internet updates, patient testimonials and fantastic videos. Lindsay keeps the office feeling fresh, exciting and current. Geraldine has been Dr. Jan Linhart’s head dental assistant for over 22 years! She leads a group of skilled dental assistants that allow Dr. Jan Linhart and Dr. Zachary E. Linhart to perform their dentistry seamlessly. Procedures like tooth colored fillings, veneers, implants, and crowns require extreme precision. Our dental assistants are critical in making this happen. 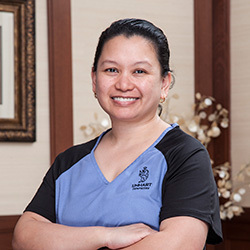 Geraldine was a dentist in her native Philippines, and brings those skills to her assisting. Her warms smile and soft touch put our patient’s at ease. Geraldine is fluent in Tagalog. Cecile is one of our lovely dental assistants who aids all of the dental professionals in our office. She is chairside to ensure procedures are performed in a smooth and timely fashion. 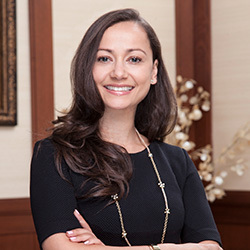 She has been working with Dr. Linhart for more than 16 years, and her experience has made her indispensable to the office. 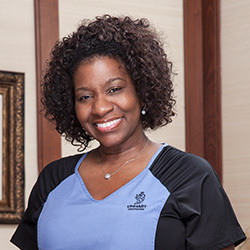 Cecile is also our PearlinBrite® laser whitening specialist in the office. 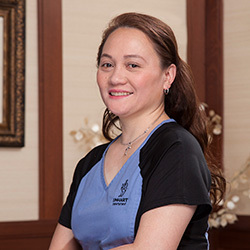 She too was a dentist in her native Philippine. . Cecile too is fluent in Tagalog. Cynthia practiced dentistry in her native. Phillipines. She has also worked in orthodontics and restorative dentistry in Riyadh, Saudi Arabia. Her amazing dental skills have made her an indispensable dental assistant, and essential to the Linhart Dental team. Cynthia is also fluent in Arabic and Tagalog. Dr. Zachary Linhart’s primary dental assistant, Mina is smart and passionate. She will gladly answer any questions about your care, or happily chat about your day. Mina will make your visit enjoyable, and most importantly, pain-free! Mina was also a dentist in her native Philippines. Mina is fluent in her native tongue Tagalog. Teeny has been with Linhart Dentistry for 9 years. She is Dr. Michelle Chan’s main assistant. She is sharp and intelligent. 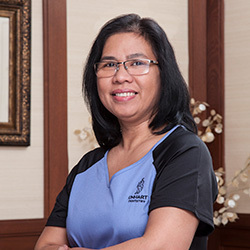 Her experience as a dentist in the Philippines, and her knowledge in all aspects of restorative dentistry, and occlusion makes her indispensable. Teeny speaks fluent Tagalog and Arabic. With over 10 years in the office, Angie is calm and caring. 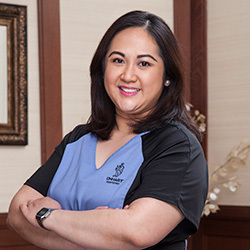 As a practicing dentist in the Philippines, she learned how to care for patients in the best possible way. 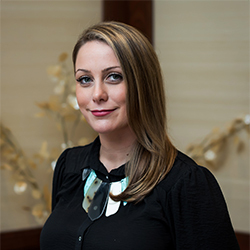 Angie assists all of our eminent specialists in our office with precision and strict attention to detail. Dr. Nancy Kim, our periodontist, Dr. David Jacobson, our endodontist, and Dr. Courtney Schiefelbein, our orthodontist count on Angie for knowledge and skill. Angie’s native tongue is Tagalog. Joining Linhart Dentistry after spending over 25 years working with Dr. Michael Preston, Scherrie came to our practice with Dr. Preston and has become indispensable to Linhart Dentistry. She is caring and nurturing, and brings years of knowledge with her, as well as her gentle patient care.